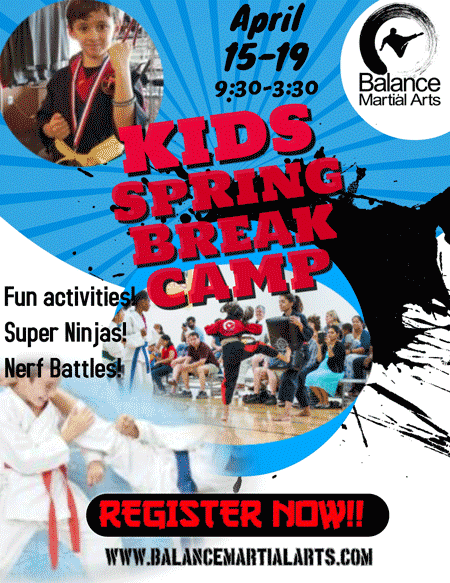 Spring Break Karate Camp is a fun-filled, skill-building summer for all kids ages 5-13. Camp is open to everyone. Camp hours are 9:30 – 3:30. Call 919-914-0613 to talk with a Balance Martial Arts team member! This entry was posted in Blog, Events, News, Programs and tagged athletic kids camp, karate camp, kids camp, morrisville karate. Bookmark the permalink.